*This eBook will not be free forever - get it now before we list it for sale. Motivate yourself with inspirational destinations and locations all waiting to be visited by you. Illustrate your ultimate goal and create a plan of action to get there. Learn expert strategies for outlining a plan that propels you towards making your dreams a reality. Use budgeting techniques to carefully work out a realistic daily budget for your nomadic lifestyle. Discover expert tricks to increase your travel fund savings the pain-free way. Develop your business idea through research that reveals your customer base… and its problems. Create a business that solves the problems of your customers. Transition into a true nomad with no fixed abode and a zest for life on the road. Techniques to eliminate the needless clutter in your life that’s holding you back from reaching your dream. Tackling the challenges of mixing business with travel through proven strategies and forward-thinking planning. Techniques for company partnership and skill-exchange for further growth. Get the lowdown on logistical planning and enjoying the best of both worlds; the world is truly your oyster at this stage! 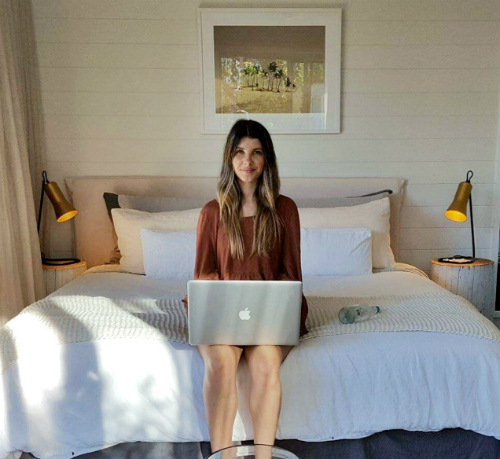 Hi, I'm Hannah Finch, an Australian digital nomad, mumma and travel addict! In between exploring the world and enjoying the many surprises and twists of life on the road, I run StoryV Travel and Lifestyle, a blog I co-founded with my globetrotting Brazilian partner, Dan Cortazio. I encourage you to head over to StoryV Travel & Lifestyle where you'll discover expert guidance on combining travel with work and more than a dash of travel inspiration! 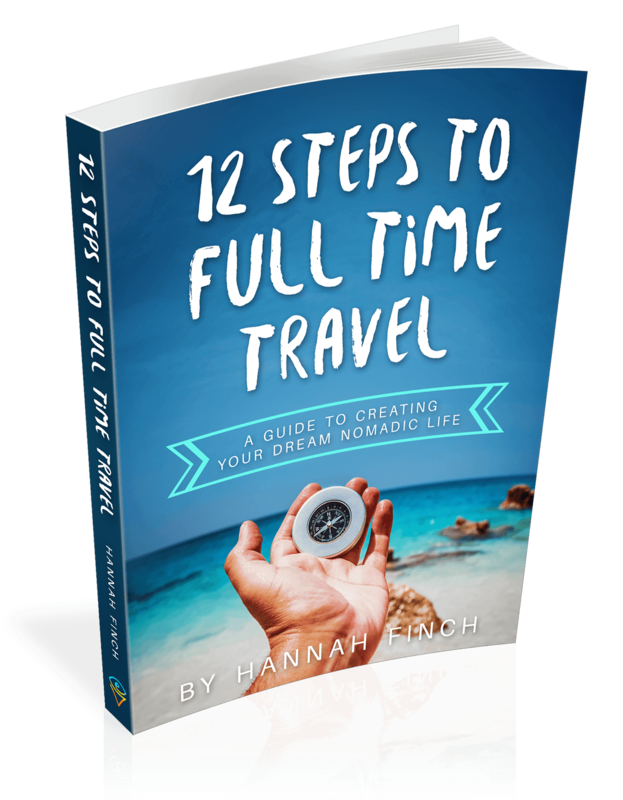 I look forward to sending you my eBook, 12 Steps To Full Time Travel, where I share all my best tips and secrets for turning travel into a lifestyle. Hit the button below to download while I'm giving it away for free! Travel really does make the world your oyster… but let’s face it, spiraling costs of living make it hard for most of us to save up for a dream trip around the world, never mind a weekend break. Luckily, the code has been cracked and anyone can now combine work and travel together for a free bird lifestyle which allows you to live where you want, and travel when you want. If you’re stuck in the rat race and desperate to claw yourself out, then you’ve come to the right place! This eye-opening eBook gives you the definitive step-by-step blueprint to achieving your dream lifestyle in 12 simple to follow steps. And the best part? You can read it all in your lunch break!